A Dallas County EMS paramedic greets the arrival of the Perry Volunteer Fire Department Saturday evening after discovering a fire in progress in an apartment at 820 18th St. 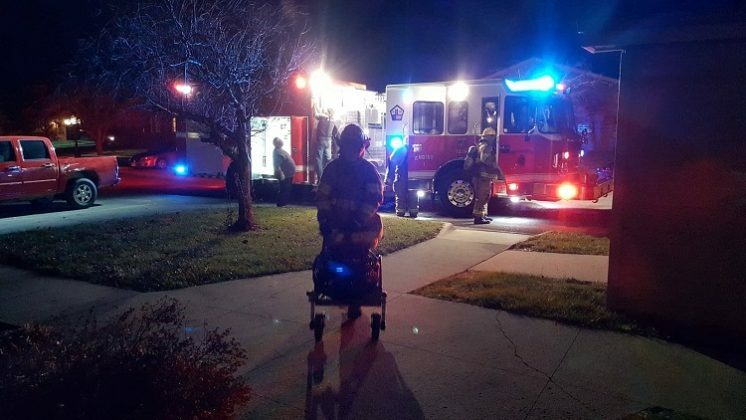 There were no injuries in the incident, in which a trash can caught fire. The resident of an apartment at 820 18th St., seated, was joined by police, paramedics and neighbors Saturday evening after a trash can caught on fire in her home. There were no injuries. 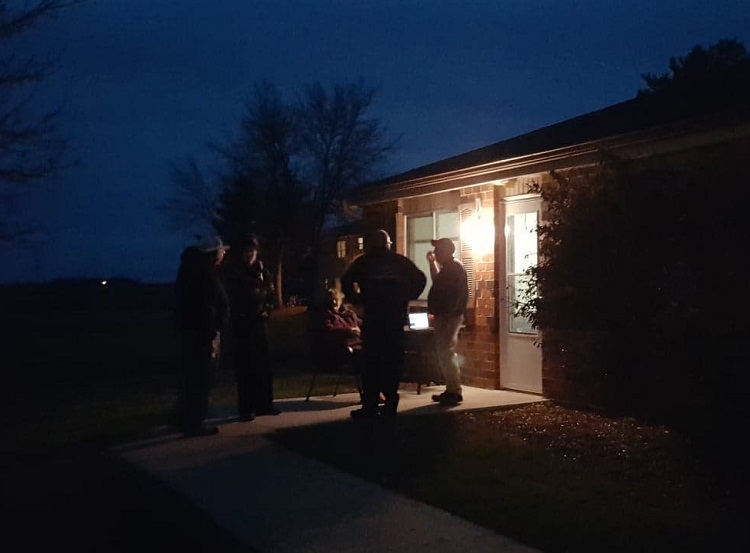 A large fan was deployed by the Perry Volunteer Fire Department to clear the apartment unit of smoke after a trash can caught on fire Saturday evening. Dallas County EMS paramedics were surprised when they responded to a call for lift assistance Saturday about 5:30 p.m. in an apartment unit at 820 18th St. in Perry and found the residence full of smoke and a fire in progress. 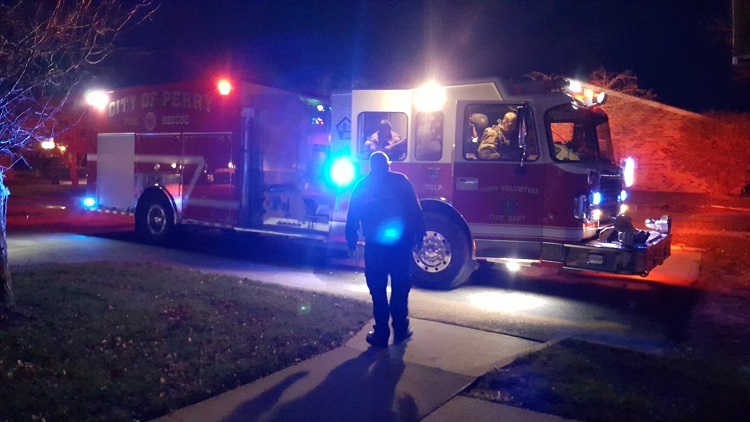 An officer of the Perry Police Department also responded and was able to quickly control the blaze, which was confined to a trash can. There were no injuries. “I opened the door, and the smoke just came rolling out,” said a Dallas County EMS paramedic. The resident of the apartment said her cigarette rolled into the trash can shortly after she called for lift assistance, and the blaze ensued. The Perry Volunteer Fire Department also responded and used a large fan to clear the residence of smoke. There was no apparent damage to the structure of the building.